A 12.4% increase in odds of improvement in quality of life was found for every 100 additional units levodopa equivalent daily dose prescribed preoperatively. The 5 baseline variables that can be used to predict meaningful improvements in quality of life after deep brain stimulation (DBS) for patients with Parkinson disease are Parkinson Disease Questionnaire-39 (PDQ-39) scores, bilateral vs unilateral DBS implantation, levodopa equivalent daily dose, percent change in on/off motor evaluation, and years since symptom onset. A model created on these associations predicted quality of life improvements accurately 81% of the time, according to a study published in Neurosurgery. 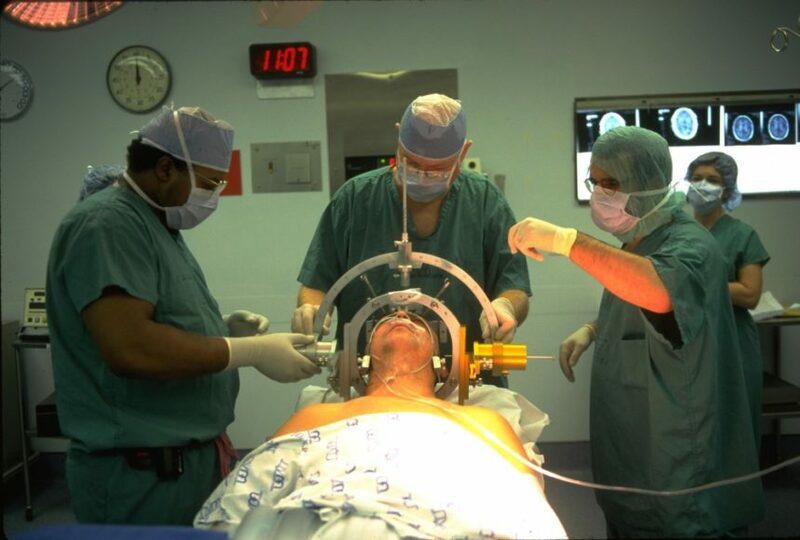 There were 67 patients who underwent DBS surgery for Parkinson disease at the Cleveland Clinic’s Center for Neurological Restoration, Neurological Institute between 2007 and 2012 included in this retrospective study, 36 of whom experienced improved quality of life after surgery. A 7.3% increase in odds of improvement in quality of life was found for every 1-point increase in PDQ-39 score before surgery (OR, 1.073; 95% CI, 1.03–1.119; P =.001). A 12.4% increase in odds of improvement in quality of life was found for every 100 additional units levodopa equivalent daily dose prescribed preoperatively (OR, 1.124; 95% CI, 1.008-1.254; P =.036). A 4.5% increase in odds of improvement in quality of life was found for each additional 1% on vs off medication change in Unified Parkinson’s Disease Rating Scale-II scores (OR, 1.045; 95% CI, 1.014-1.078; P =.005). Patients who underwent bilateral DBS implantation had odds of improvements in quality of life 6 times greater compared with patients getting right-side-only DBS (OR, 6.0; 95% CI, 1.331-27.047; P =.02). An 11% increase in odds of improvement in quality of life was found for every additional year since onset of disease symptoms (OR, 1.11; 95% CI, 1.001-1.231; P =.048). Frizon LA, Hogue O, Achey R, et al. Quality of life improvement following deep brain parkinson’s disease: development of a prognostic model. [published online July 12, 2018]. Neurosurgery. doi: 10.1093/neuros/nyy287.